Come join our Teen Costa Rica Surf & Adventure Camp for the two week surf experience of a lifetime! This adventure is for beginner to advanced surfers who want to learn how to surf or improve their skills while being immersed in the culture of Costa Rica. 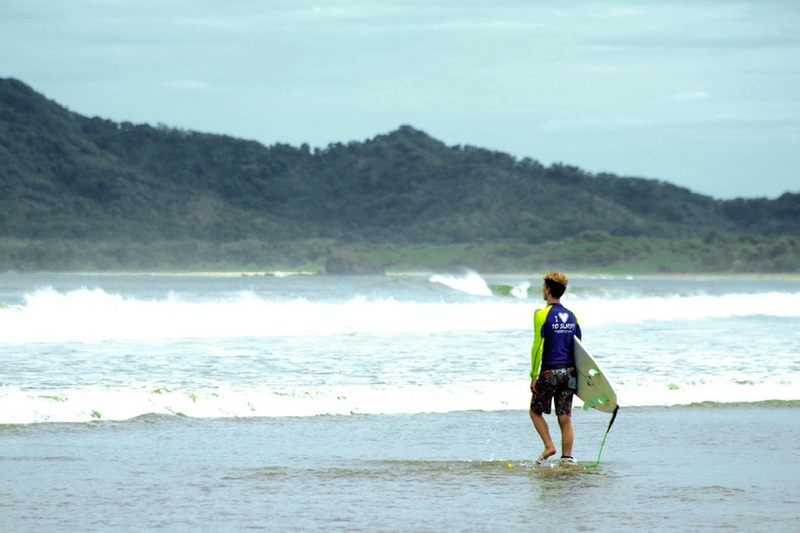 Surf two sessions daily at several of Costa Rica’s best breaks while exploring in “Pura Vida” style! Costa Rica is one of the safest and easiest international travel destinations in the surfing world. It’s an extremely safe and sustainable country with no standing military. With a brand new renovated international airport in Liberia and well-maintained highways, Costa Rica is very welcoming to tourists. Due to its friendly culture and “rich coastal” natural resources, Costa Rica is rated one of the hottest eco-travel and best surfing destinations in the world! To provide comfort to both campers and parents, we offer campers the option of flying out of the Atlanta-Hartsfield International Airport (ATL) with one of our trip leaders into the Liberia International Airport (LIR). Campers may also fly directly into (LIR) where they will be met by the rest of our team. 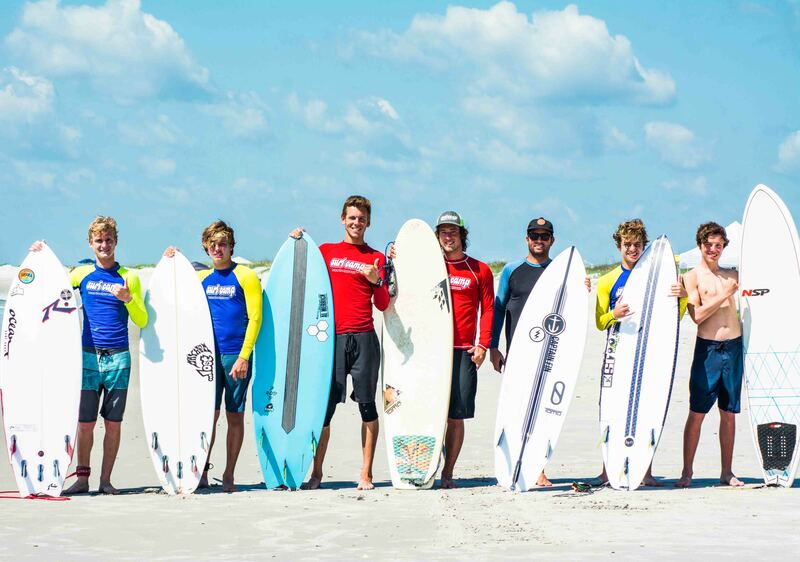 Campers will have their choice of boards from our full quiver or you may bring up to two of your own. With a 3:1 camper to instructor ratio, the personalized coaching each participant receives during this camp is unmatched. More advanced surfers will learn new maneuvers and break out of their comfort zones while less experienced surfers will progress to paddling into their own waves and learning about wave dynamics. Includes lodging, meals, 24-hour same gender adult supervision, shuttle to and from Liberia International Airport (LIR), equipment, professional surf instruction, t-shirt, activity fees, Surfing Etiquette Guide, and 8” x 10” group photo. Each person is responsible for: round-trip airfare and departure tax. Enrollment limited to 15 students per session. 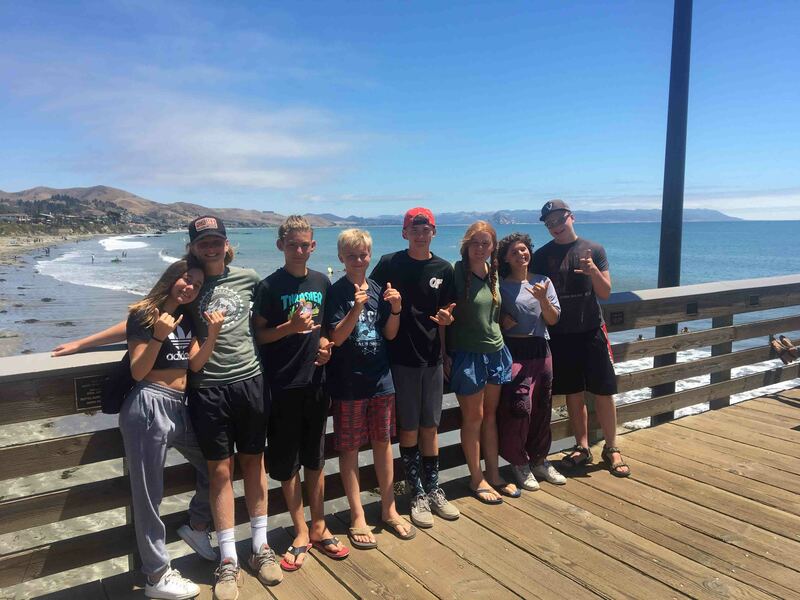 A WB Surf Camp Trip Leader will be eagerly awaiting your arrival at the Atlanta-Hartsfield Airport (ATL) if you’ve chosen to fly with us to Costa Rica, or the Liberia International Airport (LIR) if you are traveling on your own. We’ll make our way to Playa Grande to unpack and get settled in. There is nothing better than waking up to perfect waves and surfing all day long! We will be surfing “beach breaks,” which are sand bottom breaks, and Playa Grande provides perfect left and right handers. You will feel both your confidence and skill level increase dramatically. After full days of catching waves with new friends, dreams of surfing will fill your mind as you drift away to the sound of howler monkeys in the distance. A certified Spanish teacher will give us language lessons, teaching us conversational Spanish that we’ll use throughout our stay. We will start the day with yet another sunrise surf session. Your Trip Leaders will assess where the conditions are best, so the surf may take us south to Tamarindo. 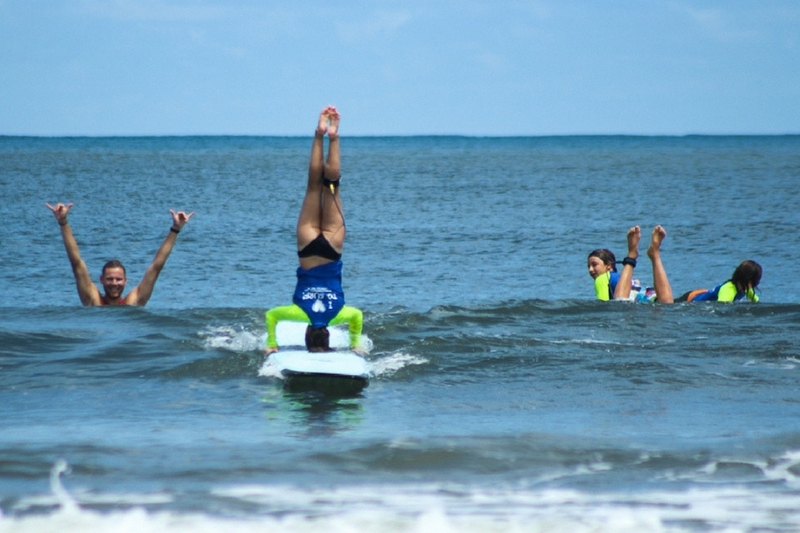 Beginner surfers will start going down the line while our experienced campers will work on more advanced maneuver. Over mega-huge burritos from our favorite restaurant (trust us, you will EAT during this camp! ), we’ll hang out and talk about areas each camper wants to work on, highs and lows of the day, and how much FUN we’re having! Playa Grande is one of our favorite spots due to the consistent lefts and rights as well as its long beach (so crowds are not an issue). We’ll start our ten hours of community service by completing a big beach sweep after a morning dawn patrol where we hoot each other on. You won’t believe how many incredible rides you’re catching! Then it’s time to experience a different type of whitewater as we head to the Colorado River for an action packed whitewater rafting experience. After a full day, we’ll head back to home base to refuel and gear up for tomorrow. Every day we awaken to great waves right in front of our hotel, so we’ll surf out front as much as possible in the mornings. Working on our community service hours at El Lianito School, we will help with gardening, cleaning up the grounds, and assisting with some maintenance projects. The service work at the local school is extremely gratifying, and we’ll go back several times to spend time with the students. Making the most of our final days in Costa Rica, we’ll score a session at Langosta, a point break at the mouth of a river near Tamarindo. 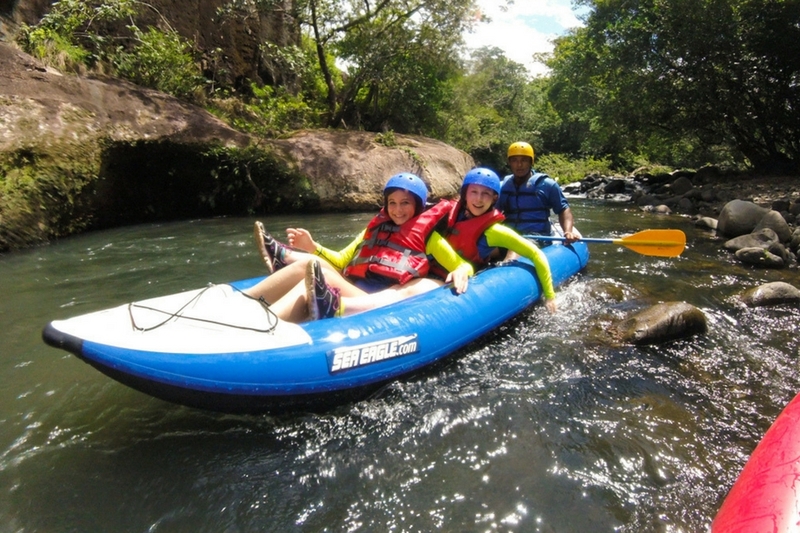 Get ready for a voyage today as we visit Rincon de la Vieja for a day in the rainforest. After getting harnessed up, we’ll take in the sights and sounds of this tropical paradise from above while we zip line between huge Guanacaste trees, over valleys, and a rushing river, taking in the lush vegetation, birds, monkeys, and other native wildlife. 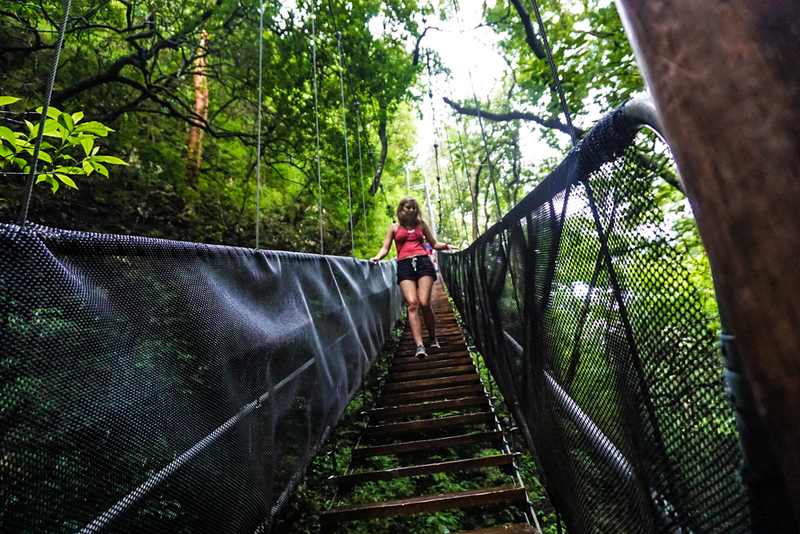 You’ll feel your adrenaline coursing through your body as you hike, rappel, zip line, and swing through this majestic canyon which surrounds two volcanoes. After taking in the diverse ecosystems that exist here, we’ll soak our bones in the natural volcanic hot springs filled with thermal waters. Our dawn patrol session is followed by our final Spanish lesson. The day ends with a sunset surf session and a farewell dinner where we reminisce about the amazing two weeks we’ve just spent together. 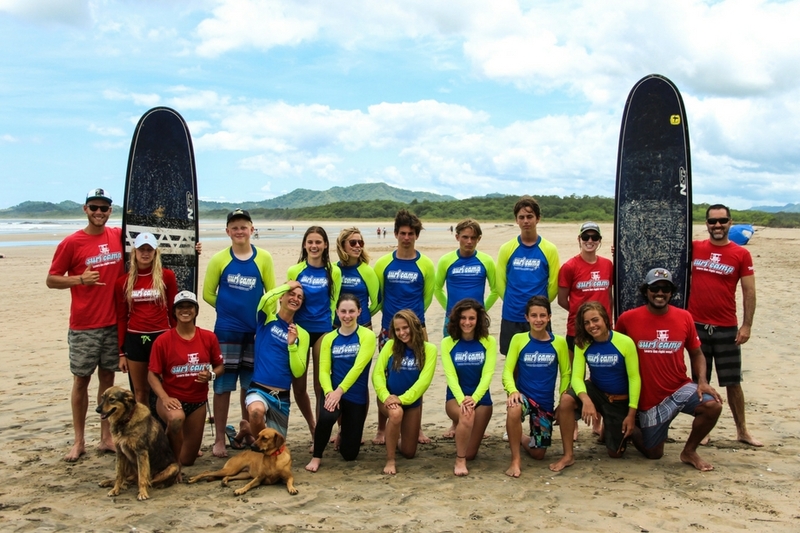 As we load up our gear and prepare to leave, we say our goodbyes, Costa Rican style… “Pura Vida!”… and start thinking about next year’s WB Surf Camp adventure! 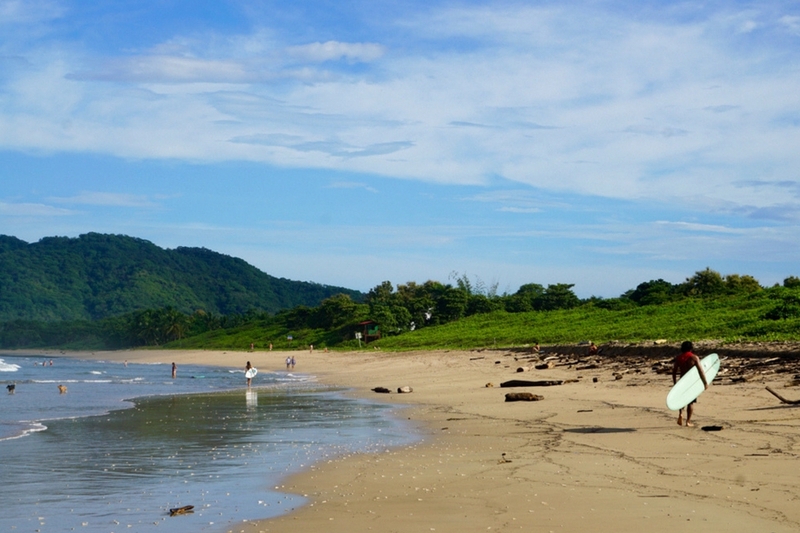 The hotel we call home is located in amazing Playa Grande, one of the most beautiful beaches in Costa Rica. Situated along the northern coast, a world-renowned surfing destination. It offers easy and fast access to many of the areas best surfing beaches. This amazing location allow us to enjoy the surf on some of the most protected, untouched, and undeveloped beaches in Costa Rica. The wave diversity in Costa Rica is one of the most attractive aspects of this trip, not to mention the tropical warm water they have year round. 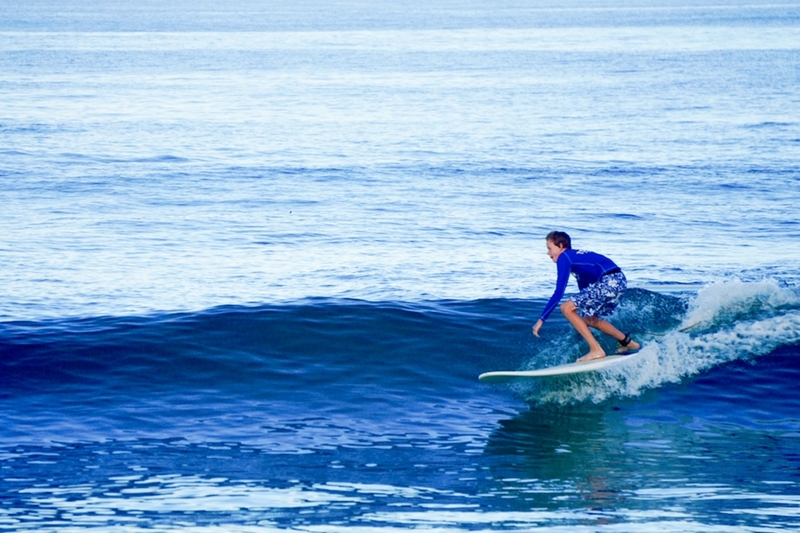 Depending on where we surf, we will encounter beautiful, clear, blue Pacific water. 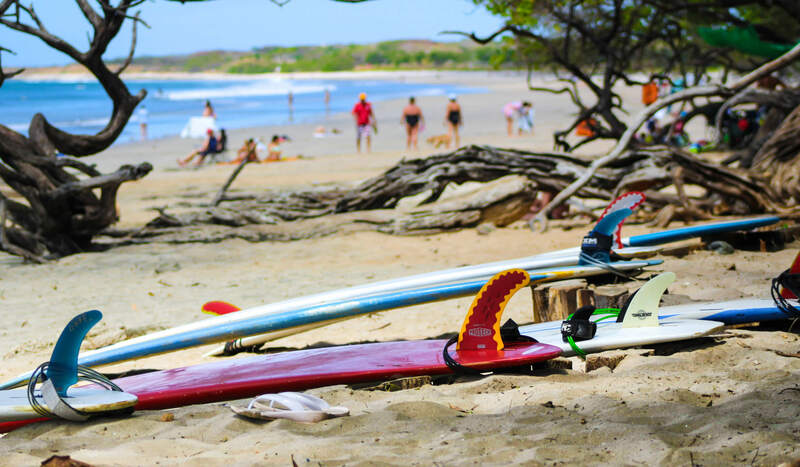 Playa Avellanas, Playa Grande, and Tamarindo stand out as some of the best surfing locations in Costa Rica with huge stretches of surfable beaches. They are also the most consistent breaks with plenty of variety in left and right-handers. These pristine and protected marine preserves, with their crystal clear waters offer many options for surfers of all levels, assuring an unforgettable surfing experience. Jesse, New York, NY – WB Surf Camp Costa Rica was amazing! I loved it and it really made me a much better surfer. I wish I could go every summer! This camp was developed for the beginner to advanced surfer. There are so many beach breaks that are suited to different levels of surfing that it allows us to accommodate the beginners as well as those looking to improve their skills. We surf 2 sessions on most days so plenty of surfing time is guaranteed. If I have surf experience will I get to learn more advanced maneuvers? We will surf right in front of our hotel in the beautiful, crystal green waters of Playa Grande (Big Beach) as well as Tamarindo, Playa Langosta, and Playa Avellanas. The breaks we surf exhibit various bottom contours and compositions making them some of the best breaks in Central America. We will have access to several other world class breaks within a 30 minute drive that exhibit similar variations. Can I travel with an instructor to Costa Rica? For campers looking for assistance when navigating customs and immigration, we will have a trip leader available to travel with students. Costa Rica participants can meet their trip leader at the Atlanta airport and travel together on the same flight (Delta 353) into Liberia, where you will then be greeted by the rest of the WB Surf Camp Costa Rica staff. Please call our office for flight details to arrange this option. All equipment is provided. We provide a variety of boards. 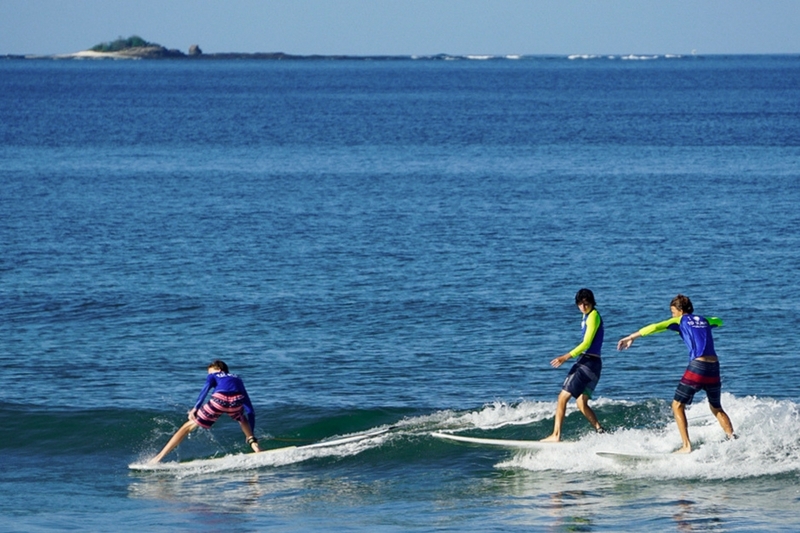 Since this is a beginner to advanced camp, participants with surfing experience can bring two boards. 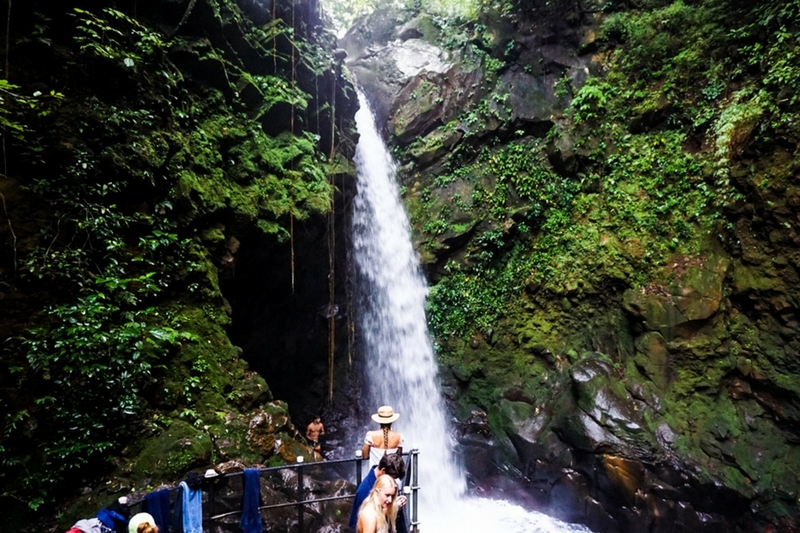 Yes, to travel to Costa Rica you need a valid passport. Is Costa Rica a safe country to visit? Yes, exceptionally so. They abolished the army in 1949 and have focused their efforts on creating greater equality of wealth among citizens and protecting their natural resources. Costa Rica has the highest standard of living in Central America, and over 27% of the country land has been set aside for conservation. This program is for ages 14 – 18. Campers are provided with three hearty meals every day. Breakfast is served daily and consists of eggs, bacon, fruit, and cereal. We go out to eat for lunches and dinners to several authentic Costa Rican restaurants which also serve American-style fare. You will have a wide variety of foods to choose from like burgers, burritos, salads, tacos, and sandwiches. Vegetarian meals are available. We recommend campers bring $50 to $75/week. Almost every store accepts US currency, and for those that do not, you will be able to exchange US dollars for colones.